The FBI report also provided detail on mass deletions of Clinton's email server by the company maintaining her server, Platte River Networks, after the existence of it came to light. According to the investigation report, top Clinton adviser Cheryl Mills told a PRN worker whose name was redacted in December 2014 that Clinton wanted her email to only be retained for 60 days, and instructed him to reset the retention policy on her email account. But the individual told the FBI he realized that he had failed to do so until after The New York Times published its bombshell story revealing Clinton's private server and email use, prompting an "'oh s***' moment." "In a follow-up FBI interview on May 3, 2016, (name redacted) indicated he believed he had an 'oh s***' moment and sometime between March 25-31, 2015, deleted the Clinton archive mailbox from the PRN server and used BleachBit to delete the exported .PST files he had created on the server system containing Clinton's emails," the report stated. The mass deletion occurred after the March 2, 2015, Times story and after a March 3, 2015, preservation order from the House Benghazi Committee to retain and produce documents related to her email accounts. Mills had sent this request to PRN and this individual on March 9, 2015, and under repeat questioning by the FBI, the individual admitted he was aware that the request existed and meant he shouldn't disturb the files on PRN's server. Both Mills and Clinton told the FBI they were not aware of the mass deletion that March. One of the findings revealed in the report is that former Secretary of State Colin Powell "warned" Clinton that her emails could become government record in 2009. According to the report summarizing the FBI's investigation, Clinton emailed Powell just after inauguration in 2009 about his use of a BlackBerry as secretary of state. "Powell warned Clinton that if it became 'public' that Clinton had a BlackBerry, and she used it to 'do business,' her emails could become 'official record(s) and subject to the law,'" the report stated. 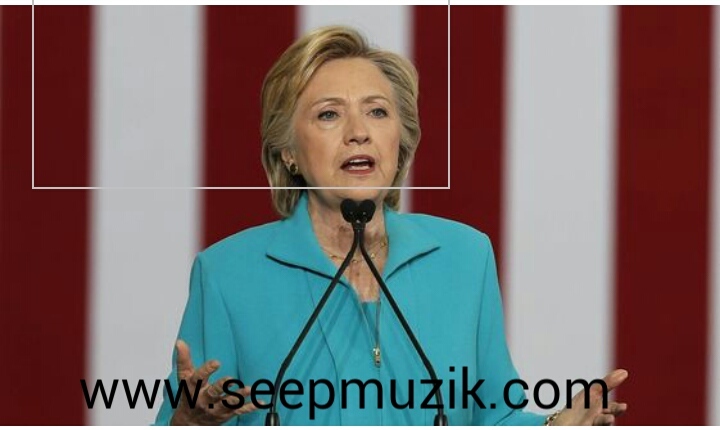 "Powell further advised Clinton, 'Be very careful. I got around it all by not saying much and not using systems that captured the data.'" But the FBI said Clinton described her understanding of Powell's comments as saying that work-related emails would be official record, adding "Powell's comments did not factor into her decision to use a personal email account." Before it became public, interest in the contents of the report had intensified after it was reported that Clinton told the FBI a conversation with Powell recommending she use private email helped convince her to do so. Powell repudiated the idea that he shares any responsibility for her choice in the following days, however, and Clinton told CNN's Anderson Cooper last month that she takes full responsibility. "I've been asked many, many questions in the past year about emails. And what I've learned is that when I try to explain what happened it can sound like I'm trying to excuse what I did," she told CNN. "And there are no excuses. I want people to know that the decision to have a single e- mail account was mine. I take responsibility for it. I've apologized for it. I would certainly do differently if I could." The report also described the way Clinton used her BlackBerry mobile devices. Clinton has cited her desire to use a single BlackBerry as part of her motivation to use a personal email address. Clinton's aide Huma Abedin told the FBI that Clinton often would use a new BlackBerry for a few days before returning to an older model because of her familiarity, according to the report. The FBI found that 13 different mobile devices were used with her two known phone numbers, and thus may have sent emails with her private account. After Clinton switched to a new device, the previous incarnation would often disappear, and a former Bill Clinton aide, Justin Cooper, said he could recall two times he destroyed the old device either by breaking it in half or hitting it with a hammer. The findings also noted that Clinton stored her BlackBerry in a desk drawer in her office, which was not authorized. Her office was in a Sensitive Compartmented Information Facility (SCIF), and thus the use of mobile devices in the office was prohibited. The former Assistant Secretary of State for State Diplomatic Security Service Eric Boswell told the FBI that he "never received any complaints about Clinton using her personal BlackBerry inside the SCIF." According to Abedin, Cooper and another person whose name was redacted from the report, there were personally owned desktop computers in the SCIFs in Clinton's homes in Washington and Chappaqua, New York. Clinton had stated to the FBI she did not have a computer of any kind in the SCIFs in her residences. Abedin and Clinton said the former secretary of state did not use a computer and primarily used her BlackBerry or iPad for checking emails. The notes revealed that Clinton relied heavily on her staff and aides to determine what was classified information and how it should be handled. "Clinton did not recall receiving any emails she thought should not be on an unclassified system," the FBI notes said. "She relied on State official to use their judgment when emailing her and could not recall anyone raising concerns with her regarding the sensitivity of the information she received at her email address." Clinton was also asked about the (C) markings within several documents that James Comey testified before Congress represented classified information. The emails that were sent and received from her server containing these markings became the subject of intense debate on the Hill, as her critics seized on them as evidence that she mishandled information. But Clinton told the FBI she was unaware of what the marking meant. "Clinton stated she did not know and could only speculate it was referencing paragraphs marked in alphabetical order," the interview notes stated. The former secretary of state said she did understand when an email was marked "confidential" at the top, and "asked the interviewing agents if that was what 'c' referenced," according to the notes. The confidential label had been placed there by the FBI after the fact. She also said she didn't "pay attention to the 'level' of classified information and took all classified information seriously." The interview also addressed a 2011email in which Clinton said she hadn't received talking points from her aide, Jake Sullivan. He responded that there were issues sending the document through secure fax. "If they can't," Clinton replies, "turn into nonpaper w no identifying heading and send nonsecure." That email had been the fuel behind speculation that Cilnton had demanded her aide send classified information through a nonsecure channel by removing markings. But Clinton told the FBI that she understood the request as routine. "Clinton thought a 'nonpaper' was a way to convey the unofficial stance of the US government to a foreign government and believed this practice went back '200 years,'" she said, according to interview notes. "When viewing the displayed email, Clinton believed she was asking Sullivan to remove the State letterhead and provide unclassified talking points. Clinton stated she had no intention to remove classification markings." Comey in July took the unprecedented step of announcing in a press conference the FBI's conclusion that there was not enough evidence to merit a criminal prosecution, before handing over his findings to the Justice Department. The DOJ followed that recommendation and decided no prosecution was merited. After Comey testified about the decision before Congress, members requested access to his agency's report. Last month, the bureau gave members of Congress access to the notes, as well as notes from interviews with other Clinton staff and aides, but kept that version of the report classified. Comey testified that no transcript of the interview exists, only the notes taken on it. Clinton was not under oath. The FBI's release Friday did not include the notes of interviews with Clinton's aides.